Abstract The Merger of DaimlerChrysler in 1998 is regarded to be the biggest merger in industry. In academic literature there is consensus about the fact that cultural issues had a major impact on the merger’s failure. Bearing in mind the importance of organisational culture on the success of M&A, this study aims to provide an in-depth analysis of the famous DaimlerChrysler merger. The researcher will reveal the organisations’ cultural issues which arose during and after the merger and she will explain the impact of these issues on different organisational levels. The analysis will be conducted with the help of the theoretical frameworks of Schein (1984) and Hofstede (2001). Findings show that cultural differences have had an impact throughout all organisational levels. working together with others to bring the right combination of skills, experience, and resources to the job at hand is becoming a necessity in a world that moves as quickly, and demands as much, as ours does today (Lank, 2006, p.1). This means that organisations aim to gain collaborative advantages by establishing relationships with other – often foreign – organisations. The reason for this is often to stay competitive in an increasingly globalised environment (Lank, 2006, p.7; Moran, Harris and Moran, 2007, p.26). Badrtalei and Bates (2007, p.303) state that ‘Partnerships, of any form, be they mergers, acquisitions or joint ventures, are a viable strategic option to achieve the objectives of growth, diversification, economics of scale, synergy of a global presence’. Surprisingly many of these collaborations fail to achieve the intended benefits. Clemente and Greenspan (1999, p.12) argue that ‘more than half of all mergers and acquisitions fail’. Other sources even talk about a failure rate up to 70 % (Human Resource Management, 2004, p.5 ). There has been considerable effort in shedding light on the reasons for failed collaborations as this is mostly a very cost-intense situation. According to Clemente and Greenspan (1999, p.12) the key to success is ‘understanding the components of culture and achieving cultural alignment’. Not correctly identifying the organisations’ culture – both the own and the partner’s culture – often leads to the failure of the collaboration. This is a widely acknowledged opinion within academic literature. Moss Kanter (1994, p.96) argues that potential partners are often only screened in financial terms rather than paying more attention to the human terms of the relationship. Also Moran, Harris and Moran (2007, p.26, italics in original) consider the ‘integration of national, organizational, and professional cultures ’ to be the key to establish effective working relationships. Gail (2004, p.12) reveals that ‘most organizations mishandle the people and culture side of mergers and acquisitions’ which ‘can radically reduce a merger’s chances of success’. This is emphasized when considering the fact that every organisation has a specific culture and the culture ‘directly affects employee behavior’ (Baker, 1980, p.8). 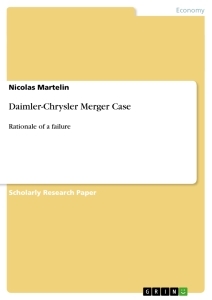 Bearing in mind the importance of organisational culture on the success of M&A, this study aims to provide an in-depth analysis of the famous DaimlerChrysler merger. 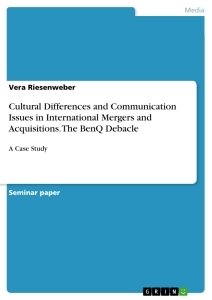 The researcher will reveal the organisations’ cultural issues which arose during and after the merger and she will explain the impact of these issues on different organisational levels which – according to current literature – had been a major obstacle for the merger’s success (e.g. Badrtalei and Bates, 2007; Huczynski and Buchanan , 2007, p.635; Lasserre, 2007, pp.139-140; Shelton, Hall and Darling, 2003). In May 1998 the German Daimler-Benz AG and the American Chrysler Corporation announced that the two organisations would merge to form the DaimlerChrysler AG (Lasserre, 2007, p.139). Around 1995 Chrysler Corp. was ‘the most profitable car company in the world’ (CNN Financial News, 1998 cited in Badrtalei and Bates, 2007, p.307), concentrating on minivans and jeeps. Daimler-Benz, on the contrary, was specialised in luxury cars and this sector had to face serious pressure from new competitors such as Toyota’s Lexus devision (Badrtalei and Bates, 2007, p.306). The major reasons for the merger were to save costs (expected savings of 3.5 billion US$) and to increase sales by 13 percent (Human Resource Management, 2004, p.5) as well as to achieve fast growth in the home markets and emerging markets such as Asia (Lasserre, 2007, p.139). The merger was considered to be the largest industrial merger ever, with a market value of 92 billion US$, 421,000 employees, and annual revenues of 130 billion US$ (Shelton, Hall and Darling, 2003, p.313). Daimler-Benz CEO Jürgen Schrempp promised the merger to be a Merger of Equals (Badrtalei and Bates, 2007; Shelton, Hall and Darling, 2003; Finkelstein, 2002, etc.) which was perceived as a merger, where both organisations would distribute power equally. The merger by the media and many financial experts was viewed ‘as a strong alliance, a thoroughly integrated trans-Atlantic powerhouse’ (Shelton, Hall and Darling, 2003, p.314). Nevertheless there have also been early concerns about the merger. 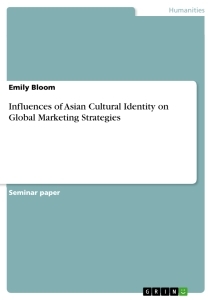 Often the organisations’ different images and cultures were mentioned in this context. For analysing a complex event such as the DaimlerChrysler merger, there is a distinct need of a clear structure. The researcher decided to use the three-perspective approach developed by Martin (1992) because it enables her to ‘capture the major similarities and differences among the various approaches to the study of organizational culture’ (Frost et al., 1991 cited in Liu, 2003, p.392). However, only two of the perspectives are relevant for this study, namely, differentiation and integration. Differentiation means sub-dividing the area of interest by recognizing the ‘inconsistencies in organizations’ (Liu, 2003, p.392) whereas integration helps gaining a ‘consensual understanding of organizations’ (Liu, 2003, p.392). The differentiation will take place in the analysis in chapter 5 whereas the conclusion in chapter 6 will reveal the interactions. As the nature of this work excludes collection of primary data due to restricted time, word-count and access to companies’ information, the researcher will use all – formal and informal – sources such as company documents, books, journals, newspaper articles, web-based information etc. which enable her to gain an understanding of the circumstances. In order to analyse the underlying problems and reasons the researcher will mainly use the theoretical frameworks of Hofstede (2001) and Schein (1984) which will be briefly explained in the next chapter. The theoretical framework of Geert Hofstede (2001) is based upon the assumption that every human being has a ‘mental program’ (Hofstede, 2001, p.1). This ‘software of the mind’ (Hofstede, 2001, p.2) is rather unconscious (Hofstede, 2001, p.286). It is formed in the early years of life and carried on in school and organisations (Hofstede, 2001, p.xix). According to Hofstede (2001, p.1) culture is the ‘collective programming of the mind’ which can be seen in values, symbols, rituals and heroes of a certain group, for example a nation (Appendix B, Exhibit 2). Hofstede furthermore investigated the constant differences in the behavior and attitudes of employees within the same multinational organisation. 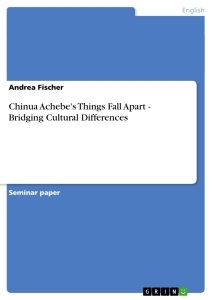 His findings showed that these differences in organisational cultures could be attributed to the differences in national cultures (Adler, 2008, pp.50-51). (1) Power Distance – is the extent to which inequalities of power distribution in organisations are tolerated and how much weight is put on status symbols. This can be seen best within the relationship between a boss and the employees (Hofstede, 2001, pp.79; 82-83). (2) Uncertainty Avoidance – means how people cope with uncertainty and instability. It should not be mixed with risk avoidance. Rather meant are the ways how future events are tried to be made predictable and interpretable (Hofstede, 2001, pp.145-149). (3) Masculinity and Femininity – is connected to the work goals within an organisation. ‘Masculine’ work goals are for example career and money whereas ‘feminine’ cultures rather stress social goals like relationships, friendly working atmosphere etc. (Hofstede, 2001, pp.279-281). Although Hofstede’s theory has been adopted in a large range of academic literature, textbooks and included in intercultural training programs also criticism exists within organisational studies (Hofstede, 2001, p.73). McSweeney (2002) critically evaluates Hofstede’s research methodology. He states that ‘Hofstede’s claims are excessive and unbalanced’ (McSweeney, 2002, p.112) and that there is a clear need to further investigate ‘the richness and diversity of national practices and institutions’ (McSweeney, 2002, p.112). Some authors like Anderson (1991 cited in Mc Sweeny, 2002, p.89) even question if there are nations at all. Hofstede’s approach to national culture, as well as similar approaches of other authors (like Schwartz, 1999 and Trompenaars, 1993) are criticized in general for being ‘oversimplified, static and for not providing a basis for judging whether two cultures are different’ (Huczynski and Buchanan, 2007, p.647). Additionally, there is no consensus if organisational culture is truly a mirror of national culture and if it is possible to draw distinct borderlines between different cultures (Appendix B, Exhibit 2). Nevertheless, Hofstede’s approach helps to develop an ‘awareness and understanding of cultural differences’ (Huczynski and Buchanan, 2007, p.649). As mentioned above, there is already distinct knowledge about the fact that cultural discrepancies have had an impact on the failure of the DaimlerChrysler merger. As the question of this study is not ‘Are the cultures’ of Daimler and Chrysler different?’ but rather ‘How did cultural differences affect the different levels of the organisation?’ and it is not intended to compare national cultures such as the Germans and the Americans regarding to their cultural distinctions, the researcher considers Hofstede’s model to be an appropriate instrument for this analysis.